This upgraded family friendly building is located in the neighborhood of Dunluce, Northwest Edmonton. Walking distance to Dunluce business complex, Dunluce Elementary School, and Oxford Park landing shopping complex. Call Meadowside Estates your next home. 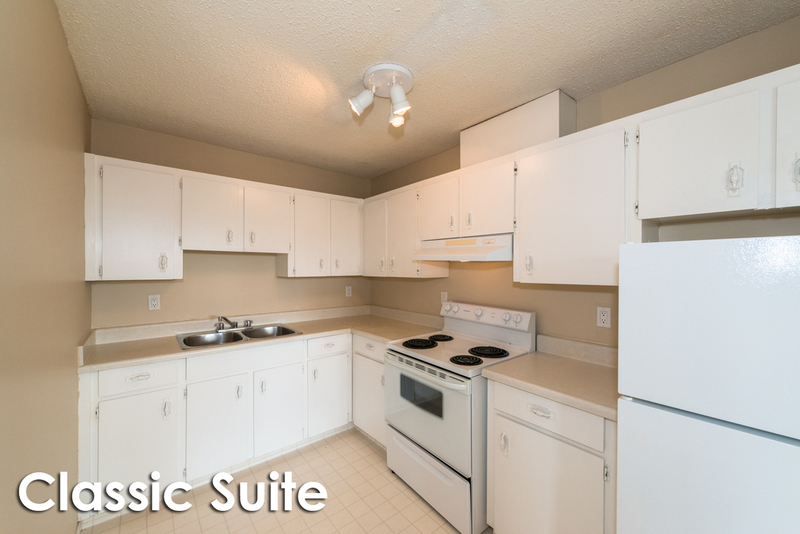 Upgraded suites with modern finishes that include the essential fridge, stove and a spacious in- suite storage room. Upper level suites have a spacious balcony and ground level suites have a patio. Heat, water and an energized parking stall are included in rent. The neighborhood of Dunluce is surrounded by great conveniences such as Newcastle shopping complex, Oxford Park Landing shopping complex and schools. A short commute to the Castle Downs Family YMCA. Easy access to major roads like 97th Street and Anthony Henday Drive.